The kids excitedly called out “hello” to me as I rode by. The mountains rose up out of the ground as if spontaneously popping up to greet me. 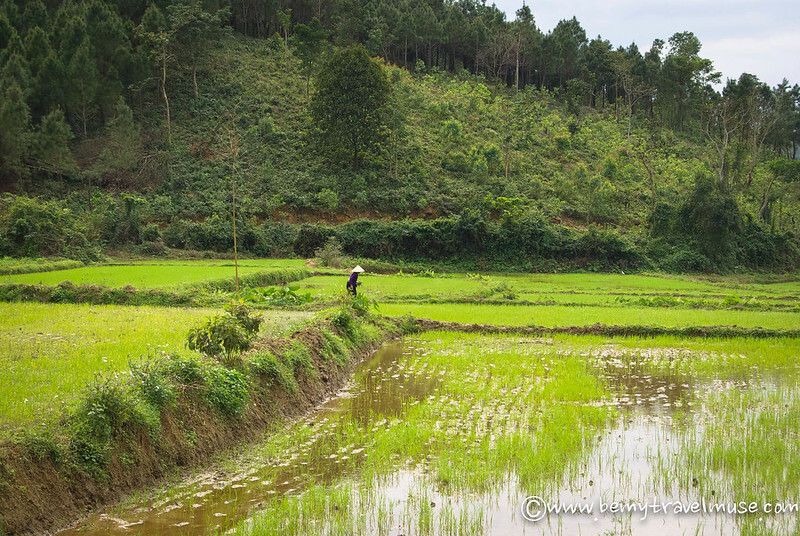 The rice terraces seemed like a an endless green carpet leading to an eternity of natural beauty. Farmers smiled and raised their hands to make a peace sign. Our biker gang rode by, each person in turn yelling a similar hello or flashing peace right back. 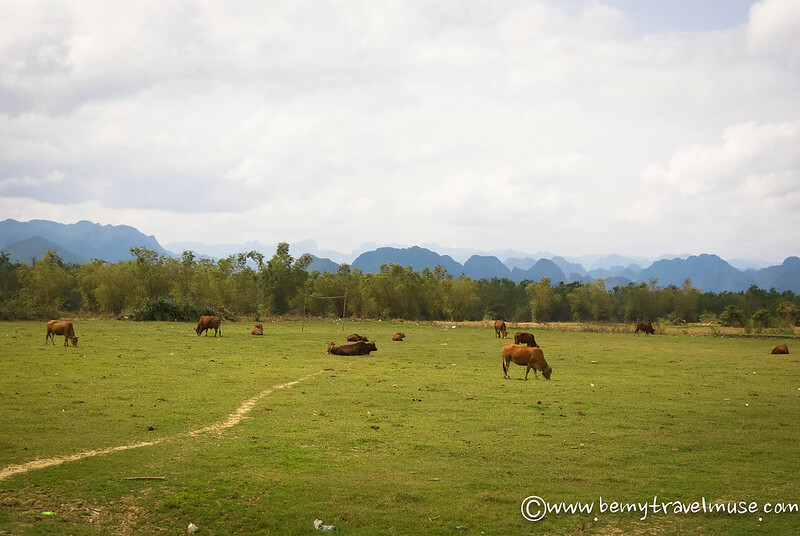 I’m speaking of Phong Nha (Ke Bang) National Park near Hue in Vietnam. Is this paradise? It’s darn close. 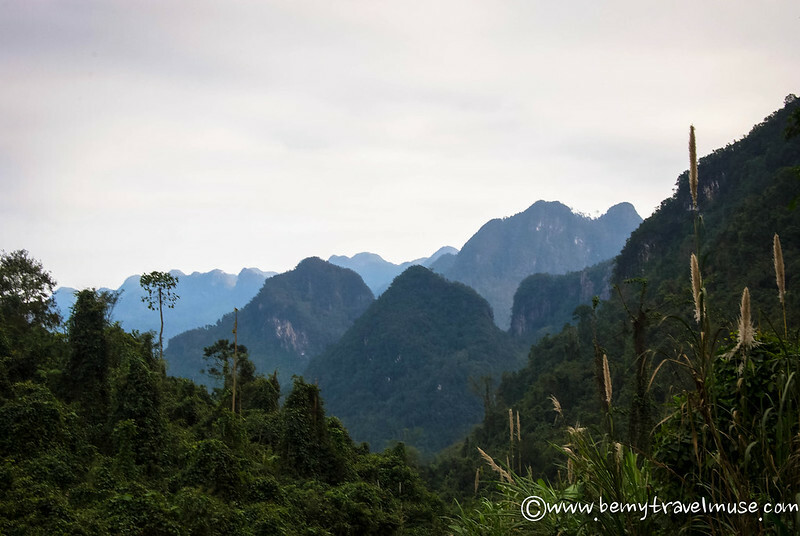 Phong Nha wasn’t really even on my radar until I teamed up with my Vietnam travel buddy, grill master Double D, who told me about the famous caves in the area. 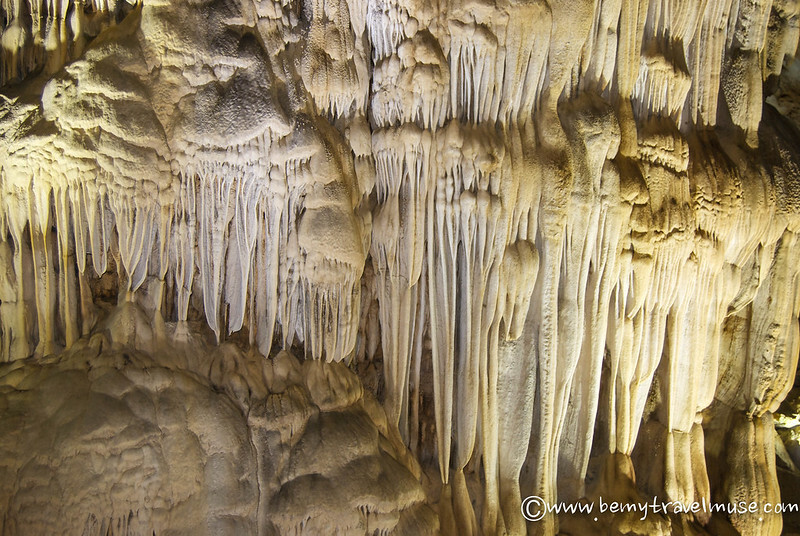 I had certainly heard about all kinds of caves in Vietnam, but had no idea how amazing and still unchanged these caves would turn out to be. 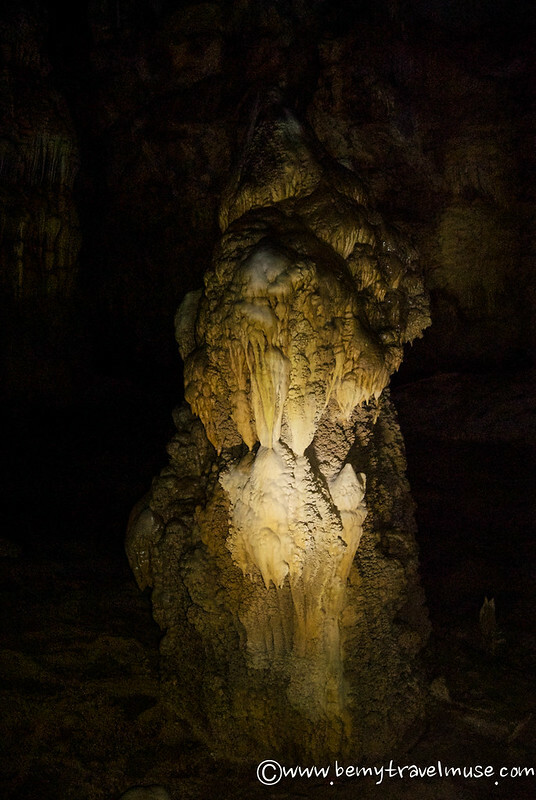 This cave is accessed by either kayaking or swimming to the cave mouth, and requires a guide. This ended up the most expensive part of the day, but was so much fun, we were happy to pay. The cave is darn muddy. At first, I just accepted that, yes, I was going to have some really muddy feet. Then my legs got involved as the mud got deeper. Before I knew it, I was waist deep and, while rounding a corner, huddled behind a rock as a barrage of mud balls came raining down on me. It was time for a mud war! Our group of five ended up practically swimming in the mud by the end of it, throwing mud at each other every now and then and finally just accepting the muddiness and fully immersing ourselves, hair and all! The guide even got in on it, all of us laughing and playing like children again. When I finally washed the mud off at back at the mouth of the cave, I realized that as the mud washed off it left my skin and hair incredibly soft. People pay good money for this kind of thing in fancy spas! If you’re a confident swimmer, bypass the kayaks and just swim to the mouth of the cave to save some money. Do this whole thing in a bathing suit, or clothing that you’re OK with getting muddy and wet. Paradise cave is absolutely massive. Unlike the cave visited during the typical Halong Bay tour, this one has no graffiti, has not been changed at all (the walkway is a wooden deck added in rather than a paved walkway that changes the natural flow of the cave), and the lighting is all natural colors, rather than the reds and greens I saw in the other caves. One could spend hours in here, marveling at the shapes and seeing various things in them, subjectively, much like cloud or star-gazing. At the entrance of the caves one can either walk or take a little open-air shuttle bus to the cave entrance. Enjoy the walk and save your money. It’s an easy stroll in the shade and not worth the extra cash to bypass. This is known as the place where one can “buy a chicken” live, have it plucked, butchered, and then cooked for lunch. Though I didn’t personally buy a chicken (it’s a 200,000 VND price tag), I was present when a few other tourists did. I have now seen a chicken from the living stage to the plate stage. It was a little grizzly. The drive out, though, was beautiful. Fair warning, the road turns into a dirt and rock road with lots of pot-holes on the way to the pub, then ends at a river that needs to be crossed on foot (or bike, if you’re particularly adventurous and confident). No matter what you do, if you are motorbiking be sure to have travel insurance – it’s just the right thing to do. The incredibly friendly locals in this area, and the natural beauty, made it very worth it. My favorite thing was getting lost on the little side roads around the national park. The reaction from the locals was absolutely awesome. Much in the way that the kids ran out of their little shacks in Kratie, Cambodia, yelling hello, the kids (and their parents too!) 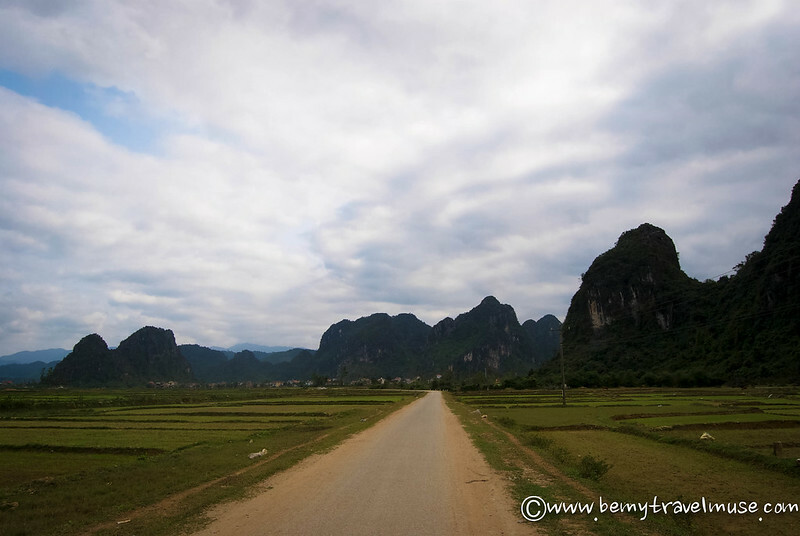 did the same on the small side roads here in Phong Nha. Honestly, what feels better than being welcomed every few minutes by the locals? It’s my favorite part of traveling and definitely makes a place that much more amazing for me. The complete lack of traffic and generally good main roads made this an easy drive. 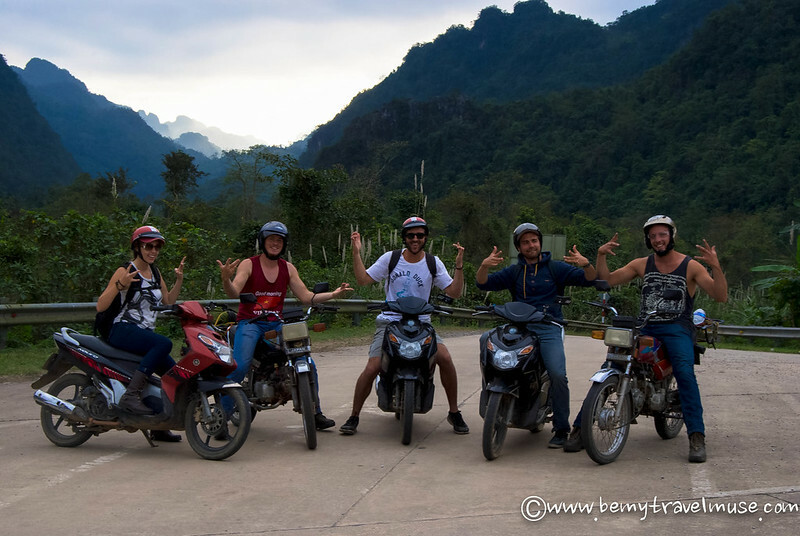 Even better, a first time rider came out with us and fell in love with motorbiking, much like I had my first time driving myself on a motorbike in Pai, Thailand. It’s tons of fun! *All of the above can be done with a tour, but I tend to avoid tours and prefer doing things on my own. I spent about half what the tour cost was, but am comfortable driving a motorbike, which is essential on these roads, particularly those on the way to the Pub with Cold Beer. 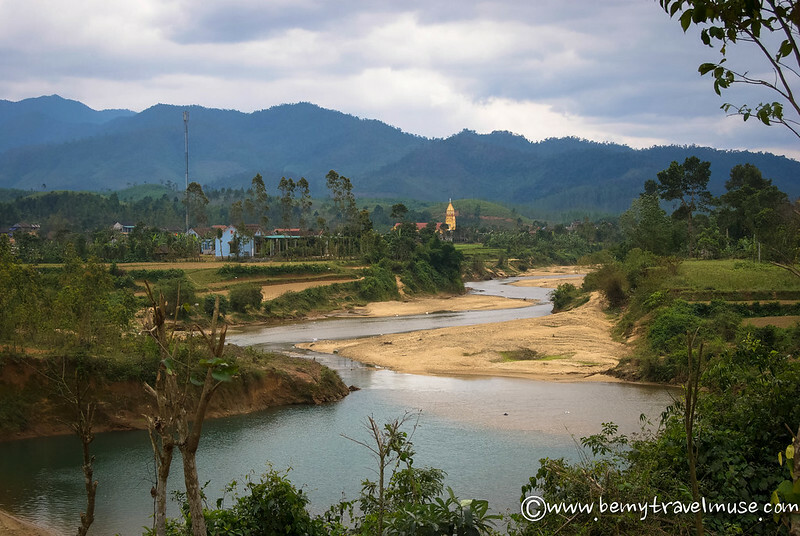 From Hue, there are several ways to get to Phong Nha. One can take a small minibus for 500,000 VND per person that goes from Hue Backpackers to your guest house of choice in Phong Nha. I can only verify that this most expensive option works, because that was my only choice given the Tet holiday, during which the public bus I wanted to catch wasn’t running. If you’d like to take public transport from Hue, there is *apparently* a bus that leaves from the North bus station daily at 10:30am with “Phuc Vu” written across the front of it. Its Rego plate is 73L9790. Otherwise, get to Dong Hoi either by bus or train and catch the 2pm bus from the bus station. A taxi or private car can also be hired in Dong Hoi for anywhere from 125-500k VND per person depending on group size. I didn’t bother with that til I got to SE Asia either! Oh Wow, you had me at mud war and then those cave pictures sealed it! Thanks for helping me plan one of our Vietnam stops! No problem! I’d love to hear your feedback after you go! Great post Kristin! The scenery looks stunning and it sounds like a place you could have a lot of fun. 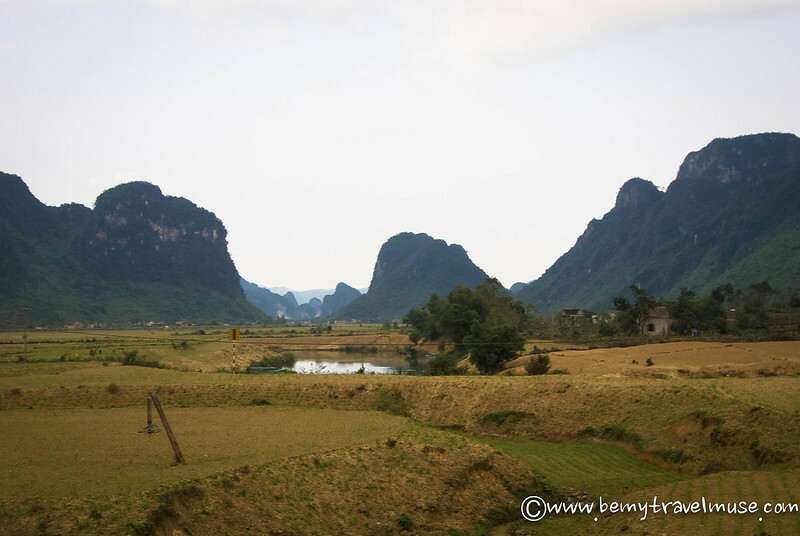 I’ve added Phong Nha to my Vietnam list for July…it’s getting longer and longer! I can’t wait to visit, it looks like you had a blast. I just visited the national park and loved it! The mud in the dark cave was absolutely fantastic. Next stop is Hoi An! I’m so excited, thank you so much for your posts, it helps a lot! I’m so glad you liked it! Enjoy Hoi An, I really loved it. – is it possible to rent bikes in Son Trach ? – how far are the sites within the park ? Is it doable to reach Paradise cave by bike ? It would take a really long time on bicycle but there are van tours that you can do and then cycle around the paths closer to son trach separately. Definitely take a motorbike around. The smaller roads are wonderful! The pictures in the post were amazing and also the description was so much lively that I felt like I am with you in your trip. Love the pictures! What kind of camera did you bring into the caves? Great post Kirstin! 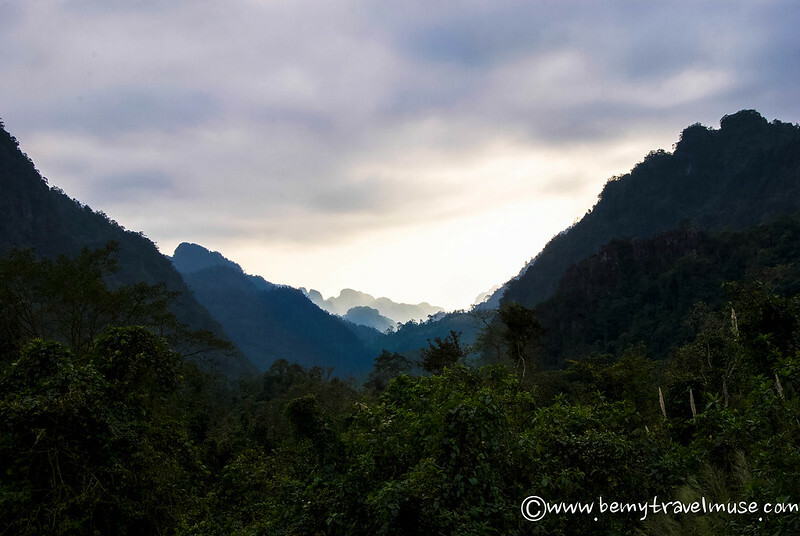 I’m going to add in Phong Nha into part of my Vietnam trip after reading your post. Just one thing, would you be able to provide more details on the tours? Like any specific agency name that we should look out for when we’re there? 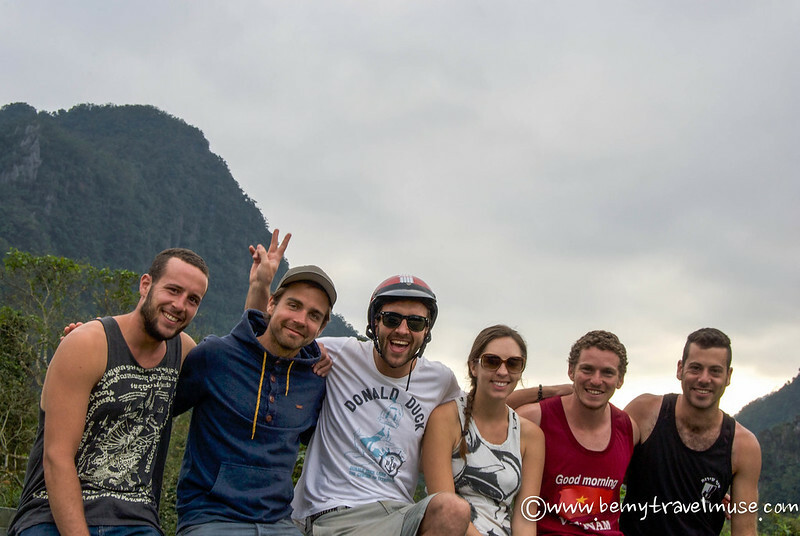 – how many days did you spend in Phong Nha? – do you know how to get there from Hoi An? Motorbikes maybe? Or too far away? Thank you so much! So looking forward for this adventure!! You could motorbike there. It’ll take some time but if you have time on your side could be fun. I took busses in Vietnam. I think I was there for 3 or 4 nights total. Enjoy it! How long did it take to drive from Hoi An? Hard to recall now but I took a bus and it made a stop or two. A few hours. Thanks for the detailed post! I’m in Phong Nha right now looking into non tour guided info and this was very helpful! Happy new year! Can I get through the dark cave if I dont know how to swim? Also, do I need to pre-book a guide or do I get it there only? Can I get safety equipment and zip line fun there only or I need to prebook a tour? Thanks! They won’t let you go in without a guide. You can kayak instead of swimming. The cave itself is just muddy so you walk through that. No idea about ziplining. I didn’t know there were places to zip line there. Paradise cave is so beautiful! Your pictures are also great, especially the landscapes.Thanks for sharing! 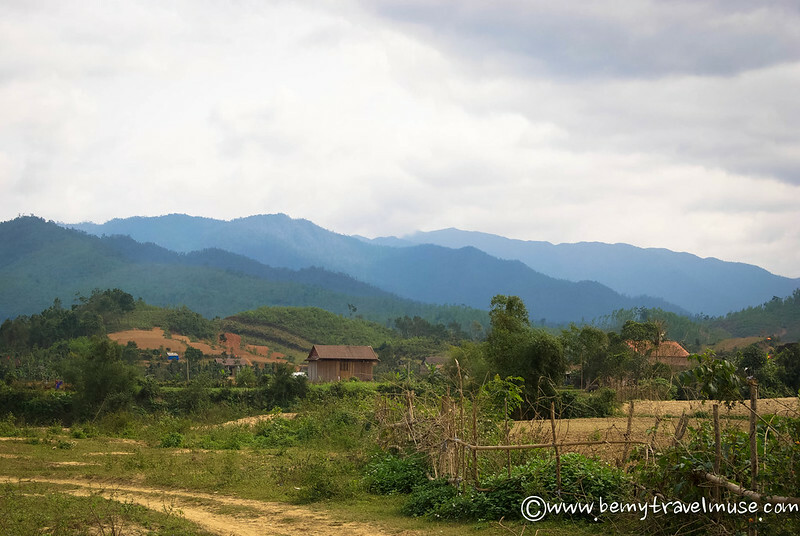 Reading this blog post makes me want to go back to Vietnam. can you visit both places in the same day? dark and paradise cave? Great article. 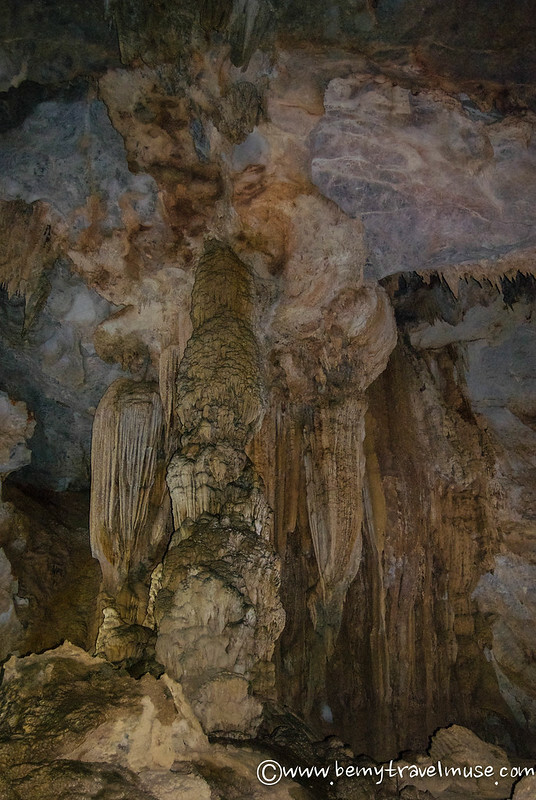 I been in Phong Nha after reading this article and really enjoy these caves and the countryside around the little town. Once I was there, I decide to stay longer because I was offer to join a new tour to go further in the National Park to meet the local tribes leaving deep in the National Park. After a 1h30 car ride on a beautiful jungle road we started to trek from village to village and learn more about the life of these tribes. The village got electricity with solar panel since only 1 year (2017) and this tour started to operate in February 2018, before that no foreigner was admit in this area because it’s a frontier area with Laos protect by the army, so the life of these tribes is untamed and untouched by modern civilization. On the way we swam in two amazing waterfalls and at nights we drank local rice wine in a little village lost in the middle of the jungle. It was such a great experience that I want to share it with you to let everybody know about that. If people plan to go to Phong Nha they should consider to stay at least 3 nights to have time to visit these tribes in the jungle. Nice how can they get there?